While everyone is singing happy tunes for Big, I find myself being wooed by I Do I Do. Light and funny were the wrong adjectives to describe this gem. Our leading lady, Kim Sun Ah is at her best here, playing a strong, independent career woman with a dash of vulnerability in love. She just doesn’t have the time to sit around idly and nurture those growing tinkling feelings, much less understand flowers, dates, and babies. I think part of that desire to do well stems from seeing her mother’s submissive nature towards her chauvinistic dad. The other part is a child’s innate determination to gain recognition from her parents. And what do you know? Unplanned pregnancy and a whole lotta decisions to make. I like this screenshot of Ji An. As a workaholic, she’s so focused on her life that everything and everyone becomes sharp blobs of blur around her. Hence, her one-way vision also impedes her social relations. It’s pitch perfect picture. No? Onwards with a poll in the end! Some of my favorite moments…. I love the moments in this drama, they are realistic and nuanced. 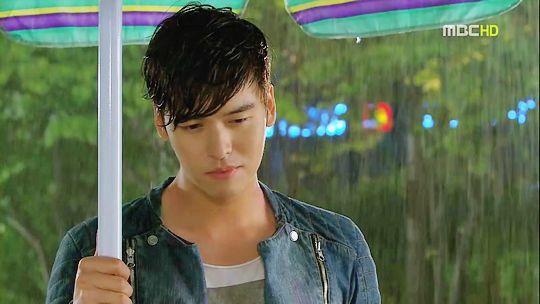 Just when Ji An mumbles in her drunken stupor that “You’re on your own in life… I’m going alone…Alone,” Tae Kang decides to come back, holding a big table umbrella he fetched from somewhere to shield this strange and lonely Noona from the cold raindrops. She’s clearly touched but refuses to let him see, and yet his answer peals away a thin layer of her faked indifference, “Kids who are abandoned need to stick together.” Aw.The One Night Stand was handled even better. No screaming, just quiet acceptance and a load of shame for her, and a bag of embarrassment for him. 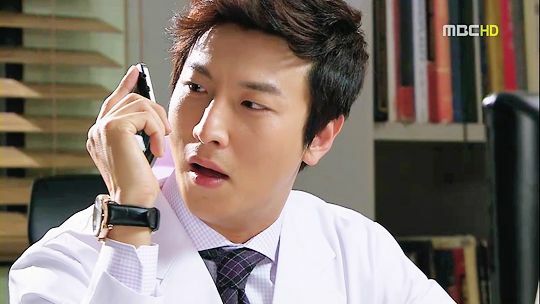 The Doc attends to Ji An’s cut, and takes this opportunity to examine her room too, very “old-fashioned,” he quips. Not hearing his mockery, Ji An looks at him like he’s a new species, and wonders, “How can you make people laugh so easily? I used to be able to do that too…but it became harder and harder. And I gave up.” I like how he placates her worry by mirroring it with his own, “I also can’t make my father laugh. It’s naturally easier to make a stranger laugh. Family is hard.” SO TRUE. Poor Tae Kang. The one issue I have with Ji An is her inclination to use violence against him and the mean, cruel words that she allows to slip through every time they argue. But then again, she has some awesome quotable lines that are spoken to bring inspiration, albeit unpleasantly. The slap is understandable and she did say sorry later, so I won’t pursue that further. Yet, her tendency to strip someone’s self-worth is pretty demeaning and telling of her insecurities. She doesn’t want to be controlled like her timid mother, she doesn’t want to be put in that vulnerable position by anyone. Ironically, when she lashes out like that, she’s revealing all her inner weaknesses, one by one. 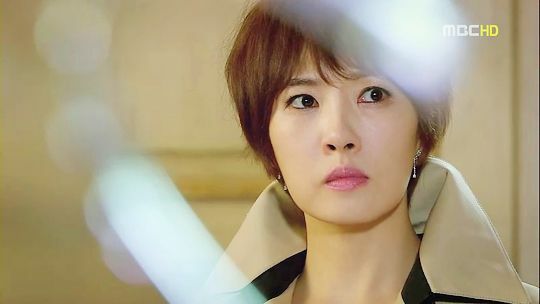 Big boss lady decides to fire Tae Kang and the Sunbae, Ji An stands aside, unable to make a firm decision. 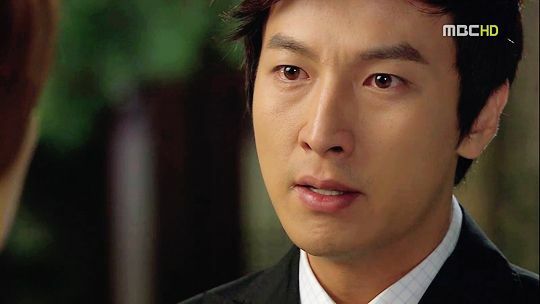 During her date with Eun Sung later, she confesses the whole story to him, unknowingly seeking advice. Then, he offers to give her the ultimate prescription! BABIES! They make us happy effortlessly. The little one, Se7en, was born prematurely, so Ji An asks, “Wouldn’t he be happier being born as healthy as others..?” Sometimes, living life to the fullest means lacking something and striving harder to get it. In the end, the enjoyment of the process hones the resilient leader of tomorrow. When little Se7en curls his fingers around Ji An’s finger, she feels it, the strength in such a weak being, giving her the courage to stop herself from cowardice. Such a beautiful moment, I was crying! Stay strong, little Se7en! Eun Sung gets emotional. Unlike many folks, I wasn’t angry with what Eun Sung said in this scene. Yes, he was emotional. He was harsh. But for him to go to that extend means that he cares about her more than he initially imagined. As a gynecologist, he’s suddenly placed in the position of the family instead of the professional doctor he was trained to be. And before he can stop it, he’s fallen too deep into this relationship. Of course, he wasn’t thinking about what her life is like, but seriously, how could he when he’s emotionally unstable as well? When you’re angry, you see things more about yourself than others. difference between them is how much each is willing to give. Eun Sung has a limit, in that he still thinks about himself and his man pride. That’s not a bad trait since giving yourself a limit prevents further hurt and damage along the way. On the other hand, Tae Kang gives selflessly, he offers without asking for return. This is not necessarily a good thing either because he might be the slave ( 😀 ) in the relationship, not knowing when to stop giving. But I think the deal breaker for most girls is the fact that his heart is attached at his sleeves, rendering him foolish and sincere at the same time. If I were to give a shoe analogy about these two…Then Eun Sung would be a pair of high heels. The type that gives women the boost of confidence. Yet, like all other heels, this one needs time to mold itself into the shape of your feet. The longer you wear it, the more you appreciate its strength and sturdiness. While Tae Kang would be a pair of slippers; easy to access; comfortable to wear; inexpensive to all. You might want to wear heels all day long at work but at the end of the day, you find yourself coming home to a pair of homely slippers. And that’s the warmth Tae Kang brings to Ji An’s life. I can’t pick one man for Ji An because each of them complements her in different ways, both with pros and cons. Here’s a poll! The best man for Ji An is…. I purposely left out some topics (abortions/gender discrimination), so feel free to give your thoughts/analysis, share goodies (pictures/banners/music videos)! Let’s make this interactive! This entry was posted in Discussion Posts and tagged I DO I DO, Im Soo Hyang, Kim Sun Ah, Lee Jang Woo, Park Gun Hyung by Kappy. Bookmark the permalink. I don’t know about any of you, but I want Ji-an to invoke the cougar from within and be with Tae-kang. That being said, you had to have watched up to last week’s ep.8 to grant access to agree/disagree with me. Just sayin. Seol Bong-soo: I lub you, I lub you so mucchhh! I honestly love the bromance between Seol Bong-soo and Park Tae-kang, more and more every episode I think. When those two are together, in the name of agar, my tummy becomes jello. ↖(^ω^)↗ Hurray for bromance! Unfortunately, I doubt we’ll delve too far from the idea of Ji An & Tae Kang ending up together by the end of the series. I’m a tad disappointed with this idea personally because I tend to like seeing Na Ri & Tae Kang together if only because Tae Kang isn’t constantly getting a rolled up newspaper to the nose each and every time they decide to talk (well there was that scene where she smacked him over the idea that he’d been eavesdropping on her emotional breakdown — but I think that would be a normal reaction given her state). With that said I’m not really sure I like Eun Sung at all. I mean in the beginning it was basically an arrangement to get each persons parents off their back over marriage but then it became a burden for Ji An and something of a game for him to see what he could get from her (emotionally and then physically…I’m deliberately forgetting the lingerie ladened dream sequence from the previous episode). The only “bright” side that I can see to Ji An & Tae Kang’s constant bickering is that stuff like that tends to lead to well the aforementioned OTP set up of old which I suppose is meant to turn us into rabid Ji An & Tae Kang shippers (I didn’t say that really…the keyboard has a mind of its own). Semi-fly, do you still think so? Because don’t most relationships begin on the same foot of being piqued by the other gender? I honestly don’t think it was a game for him at all since he was genuine in all their interactions, giving advises, offering baby therapies, displaying playful mockery. Ji An even admits that if the pregnancy didn’t happen, she could imagine marrying him. For Na Ri, she’s a weird girl. Leaving her whole life BEHIND in America and cutting ties with her real mother for a stepmother who obviously and intentionally puts her down every single time is a nutty decision. And now she brings in that annoying MR. MADE-IN-USA. He annoys me when he calls our sweetie pie “RAG!” I secretly hope that Ji An would correct his ill-mannered attitude and take Tae Kang’s side. I’m waiting for it! i soo love her Fashion style..my fave look: ep 7, when she went to the clinic first time wearing that black long halter over a brown & black top,black short, white boots & white clutch! so sophy! Also, that painting!! I know it’s iconic in debating Ji-an’s character but I’m lost in the art world. I need to rant about ep.10, but I’ll hold off spoilers till next week before Weds. comes around. 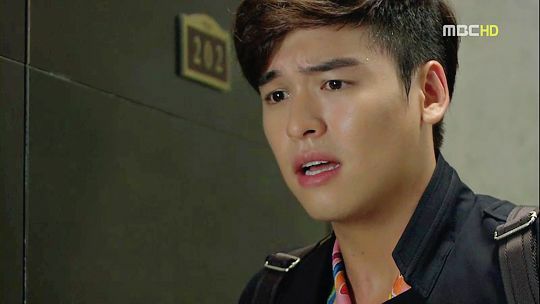 After watching episodes 09/10 I think I’m about as confused as Tae Kang as to what will happen next. It seems the writers are pushing forward with the Ji An/Tae Kang storyline but in such a kind of haphazard manner that makes me wonder if this was all planned out or if the writers are struggling to figure out what they want to do with these characters. I’m not willing to accept Ji An’s change of heart (over her bid for president or whatnot) is the sole result of her pregnancy (though I can’t rule it out in part) nor do I think I can accept that Tae Kang’s innocence (can we call his personality that?) is solely responsible either. I’m probably the only one that’s disappointed by where the writers are taking Na Ri’s character if only because she’s struggling to find out who/what she is and that somewhat matches my take on Tae Kang. It doesn’t hurt/help that these two (Na Ri/Tae Kang) seem to “click” more than his alternative pairing with Ji An (yes, I’m showing my bias — I think). Oh well. TK is the man, do you think just any Johnny come lately can make JA cry, and how many times did we see that. They were drawn to each other from the start. We did not get to see how they ended up in that hotel, but given JA character and lack of interest in anything but shoes, this man moved her. What you think JA has never been drunk and with a man before, and I bet it never led to her being in a hotel room the next morning. Watched all the way up to Episode 12 and I am definitely on the Tae Kang ship. He is so honest and respectful, qualities I really admire. And he’s silly enough to bring some happiness and joy into Ji An’s life. I like so many things about this show. But one of the things I like the best is that it challenges us to really consider what a mature and capable woman desires and values in man as a partner in life. They made Tae Kang such a refreshing antidote to the pushy, possessive, domineering, clingy, often times rude, presumptive kdrama male leads out their who just drag “their” women around by the wrist. I can’t believe this is the last week. SIGHS. Actually, at the time when Jake found out TK reformed NR’s shoes (I love TK’s version so much that I want a pair for my own), my family and I discussed about it then, if only TK was offered a job overseas AND did go then the show will get more dramatic. Low and behold, ahhhhh~ O’ Mighty Drama Gods, you have heard my prayers. I had some jokbal last night for the first time at dinner. (Sorry, no photos. Too hungry to think of anything else.) I don’t know how I get so busy enough to forget eating earlier in the day. Well, my first impression is that it’s chewy and gelatinous. Really not all flavorful (could just be the particular Cook). I suppose it’s a taste only pregnant moms-to-be, Ji-an-ssi, know how to appreciate. Edible. Meep, not so crazy about it. My lavishing dish was priced at US$25 with all the condiments and pap. Tell me how much a plate costs in Seoul? P.S. I didn’t eat it all by myself ‘k. I shared it with a few other people. I’m guessing it was a good 4 servings, I had 6 friends picking off my plate trying a slice or more of pig’s feet before their orders came around. I’ll take a hot n’ spicy bowl of bún bò Huế over jokbal any day!!! may I know the title of the song being played in I Do, I Do OST page?